The British auctioneer Bonhams traditionally has a year-end classic car auction at its London head quarters with a small selection of very desirable motorcars. In 2016, the Bonhams Bond Street Sale in London will take place on 4 December 2016. Of the early entries, a 1957 Mercedes Benz 300 SL Roadster (estimate £1 to 1.2 million) is the most-expensive car on offer but the unique 1926 Rolls-Royce Phantom I (estimate £500,000 – 700,000) is attracting the most attention. 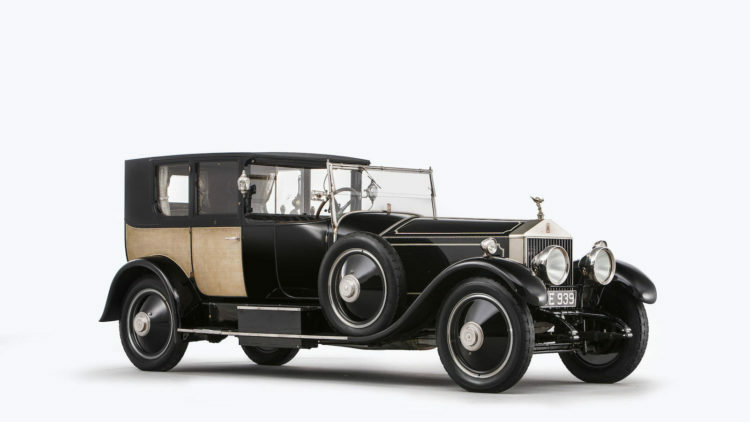 A 1926 Rolls-Royce Phantom I with coachwork by Brougham De Ville (Registration no. YE 939, Chassis no. 76TC) is with an estimate of £500,000 – 700,000 ($610,000 – 850,000) one of the highlights of the 2016 Bonhams Bond Street Sale. 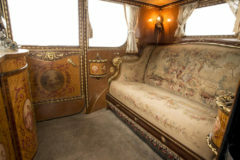 The car famously has an interior inspired by the sedan chair of Marie Antoinette and more resembling a Palace of Versailles throne room than a standard car interior. The interior of the car represented 70% of the original cost of the luxury car. This unique Rolls-Royce Phantom I was built in 1926 for the American businessman Clarence Gasque as a gift for his wife Maude. Maude Gasque, a Woolworth’s heiress, had a passion for French 18th century history and design and her husband, who was the Finance Director of Woolworth’s UK operation, wanted the car’s interior to have a French theme. (He also stipulated that it should be grander and more lavish than the Rolls-Royce Silver Ghost made for his Woolworth colleague Surefire Snow). Setting no limit on the budget, he left the details to the Wolverhampton based coachbuilders, Charles Clark and Sons. Clark’s owner, John Barnett, had the inspired idea of using a Marie Antoinette sedan chair he had come across at the Victoria and Albert Museum as a model. The result was a spectacular confection more resembling the throne room at Versailles than the inside of a car. On delivery, the Rolls-Royce cost £6,500, of which £4,500 had been spent on the interior – (£500 was enough in 1926 to buy a house). Craftsmen from the famous carpet makers, Aubusson, in France, spent nine months working on a tapestry for the rear seats at a cost of £500. 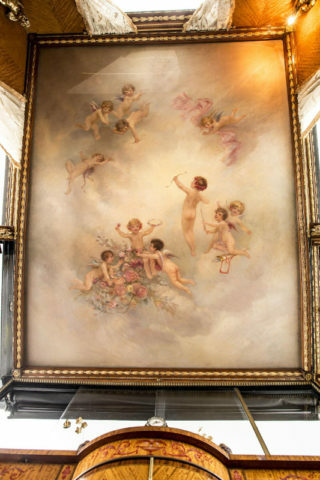 In keeping with a car that would come to be known as The Phantom of Love, naked cherubs featured prominently in the exotic interior, appearing in painted scenes on the ceiling and as lighting supports at the rear corners. Additional lighting was concealed behind the ceiling’s carved and gilded cornice. A bow-fronted drinks cabinet, reminiscent of an antique commode or chiffonier, was mounted on the internal division, concealing fold-down, inward-facing occasional seats – also upholstered in tapestry – in cupboards at either side. Surmounting this elaborate division was a small French ormulu clock and two French porcelain vases containing gilded metal and enamel flowers. In honor of the Gasque family’s French origins, Barnett devised a faux coat of arms at his client’s request, which was applied to the rear doors. Sadly, Clarence died in 1928 and in 1937 Maude – who lived until 1959 and spent the rest of life promoting vegetarianism – put The Phantom of Love into storage. She sold it in 1952 to the well-known Rolls-Royce car collector Stanley Sears, and it subsequently passed through the hands of enthusiasts in Japan and the USA before returning to the UK and its most recent owner.